What Can ONE Family do? 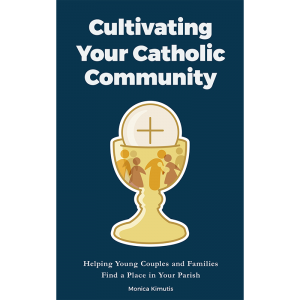 Author: Monica is a passionate Catholic, wife, mother and leader of a young couple and family ministry in Tennessee. Having encountered God through profound experiences of prayer and community through the Catholic Church, Monica dedicates much of her free time to help other young couples and families discover the beauty of a life lived in the Catholic faith. Monica & her husband, Jared, are a CCL teaching couple.